Rieker Bassano 62461 women's wedge sandals. It features floral corsage detailing down the foot and elasticated straps that allow for adjustability and support. The slip on style allows it to be put on and taken off with ease, while underfoot the Rieker Anti-Stress cushioned foot bed provides lasting comfort and shock absorption. 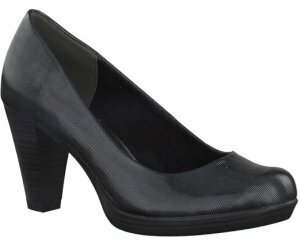 It has a rattan effect wedge heel that is 55mm high. Rieker Bassano is a versatile choice for summer as it can be dressed up or down to suit any occasion.